Numerous safety recalls have been a blackmark on Toyota's stellar reliability reputation over the last few years. The biggest, and most notable recalls, were for unintended acceleration. 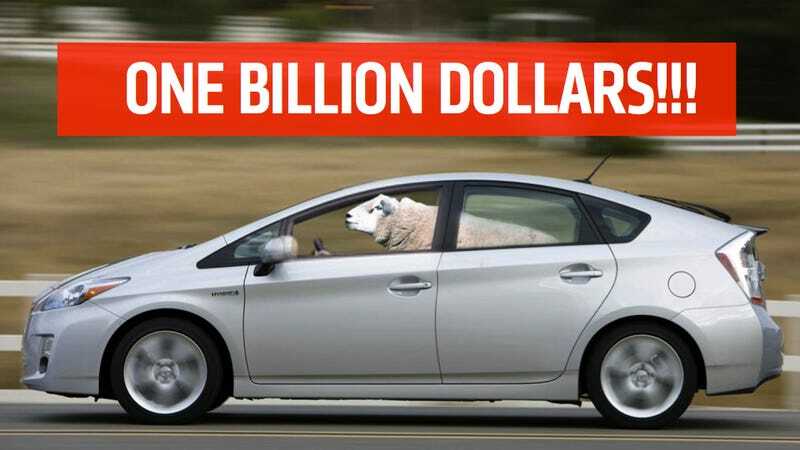 Now, a settlement has been reached in the case, and Toyota will be paying out a record $1.1 billion to settle claims. Toyota has already spent $2 billion since the recalls and complaints started coming in, and now the additional billion will be spent to provide safety equipment in up to 16 million cars. The settlement involves no admission of fault on Toyota's part. The settlement breakdown includes cash payments capped at $250 million to Toyota owners who sold or turned in their vehicles between Sept. 1, 2009, and Dec. 31, 2010, for lost value; $250 million in payments for car owners whose vehicles cannot be updated with brake-override systems; between $200 million and $400 million to install brake-override systems on up to 3.25 million vehicles; $400 million for extending warranties; and about $200 million in attorneys' fees. That means it could reach $1.4 billion. The settlement is expected to be heard by a judge on Friday. This agreement marks a significant step forward for our company, one that will enable us to put more of our energy, time and resources into Toyota's central focus: making the best vehicles we can for our customers and doing everything we can to meet their needs. In keeping with our core principles, we have structured this agreement in ways that work to put our customers first and demonstrate that they can count on Toyota to stand behind our vehicles. This was a difficult decision – especially since reliable scientific evidence and multiple independent evaluations have confirmed the safety of Toyota's electronic throttle control systems. However, we concluded that turning the page on this legacy legal issue through the positive steps we are taking is in the best interests of the company, our employees, our dealers and, most of all, our customers. It's been a day of mixed news for Toyota, which earlier today retook the crown of largest automaker in the world from GM.